First of all I would like to thank all of you for leaving such kind comments and sending emails after my last post. 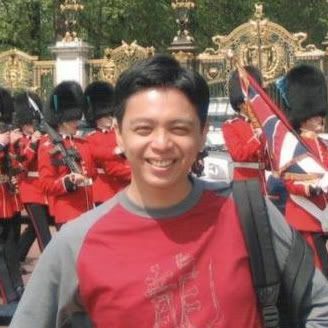 I surely did not mean to bring your spirits down and I forwarded each piece of advice and kind notes to M. Like me, she is deeply touched by your thoughts and prayers and was truly amazed by the generosity of bloggers and anonymous alike. I tell you, you guys rock!! Life goes on and she is fully committed to enjoy the time she has and do the things she has been postponing for too long like coming to Pilates with me or dragging me out of bed to go strawberry picking this morning...I know she enjoyed bugging me after the ab torture I made her go through yesterday!! We got caught by the rain, but like many times in May around our parts, it pours ocean for 5 minutes and then the sun shines through as if nothing happened. We picked about 10 pounds of juicy red strawberries, so flavorful I feel the urge to put my nose in the basket every couple of hours. The house has taken on the delicious smell of strawberry jam, strawberry-rhubarb cake and macerated strawberries. Everybody who knows me a little knows that I do not have a green thumb, and that is putting it mildly since I even killed silk plants one year (a blow torch was involved, ...don't ask). However, I have been tending to mint and oregano with good results in the past month, growing stronger and bigger everytime I cut them down a bit. I am also growing salad, parsley and baby's breath (thank you Barbara for the seeds) and we are passed the sprout stage. Yipee! Last week at the farmer's market I picked up a lavender plant as I terribly miss the scent of my childhood in Provence, and also a lemon-thyme plant....my new addiction. I don't know why this time around I seem to get it. B. thinks my nurturing instincts are kicking in at 30-something since we can't have kids, and that I need to make something else grow and thrive. A little far fetched although there is truth to it. First there was Tippy the dog, then Elliot the fish...both doing very well, and now seeds, sprouts and plants. Back to the lemon-thyme, shall we?!! It looks like lemon and citrus are going to be frequent visitors to this site during May, and not only because of SHF. Lemon-thyme is a great complement to fresh fruit salad, simple cakes like pound cakes and yogurt ones. It is does not taste like thyme at all which is not unheard of in cakes but which would be a little harder to pass on when serving dessert, it is fragrant with lemon and lime tones at the same time. I made this dessert this afternoon to take to my neighbor C. for our usual get together on Friday afternoons for tea and dessert and talk about the plans for the weekend, although we realize there can't be a plan with the husbands and the kids adding to the pot! We almost finished the bowl of lemon thyme strawberries, happily scooping with our spoons (forget plates), while noshing on the cake at the same time. Happy happy!! What a needed moment after the weird week we've had (I can't say bad because I know some have it worse). Ok, ok...I hear you...the recipe!!! Just a couple of words (yes, more!). The pound cake is my favorite ones this year, full of lemon, soaked in lemon and yet light on the palate. We eat it as a snack, I use cut slices for trifles or plated desserts, and some of you have emailed me lately that it is also one of your new favorites. I adapted it slightly from this book (from which I have been baking a lot from lately) and you can definitely halve the recipe if you don't want to be stuck with a big cake around the house, keep it well wrapped in the fridge for a week, or freeze it for up to a month also well wrapped. Sift the flour, baking powder and salt together.Cream the butter and 1 3/4 cups sugar until pale and fluffy. Add the eggs, one at a time, beating well after each addition. Reduce the speed and add the flour mixture, alternating with the milk, beginning and ending with the flour. Stir in the lemon zest.Pour the batter into the prepared pan and bake for 1 1/2 hours, or until a knife inserted in the middle comes out clean. Let cool in the pan for 15 minutes. Poke holes all over the cake with a wooden skewer. Meanwhile, bring the lemon juice and remaining sugar to a boil over medium high heat in a small saucepan, stirring until the sugar is dissolved. Invert the cake onto a rack, positioned over a baking sheet and slowly pour the syrup over the cake, it will seep through the holes and into the cake. Let cool to room temp. Mix all the ingredients together and let macerate at room temperature for 30 minutes. Refrigerate until ready to use. Bring back to room temp before serving. 1 stick of butter is about 112-115 gr. For weight, volume, cups, etc...click here. Fresh, clean, sweet but not overwhelming and no need for whipped cream! I may not be around this weekend but wanted to wish all moms out there a very very Happy Mothers' Day! My mom will have to wait for May 25th (French date for Mothers' Day) to have a her own special post, but I wanted to tell you all celebrating on Sunday that I admire your love, dedication and energy. Have I told you lately you rocked?!! Well, you do! So nice that you and M. are continuing to enjoy your time together. 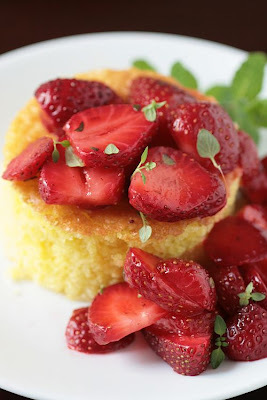 I LOVE lemon-thyme plants, and your pound cake recipe with the lemon-thyme strawberries couldn't be more perfect (especially for SHF!!) - love it. ooooooooooo lemony lemony luciousness!!!! Divine, lemon pound cake is my all time favourite cake!!!! Am so totally making this!!!! what a gorgeous dessert! Helen, you totally rock! Lemon-thyme is a lovely combination, Helen. I just love it on roasted spring vegetables like carrots and string beans. Of course, I have a feeling I'd love it in your dessert too. :) By the way, in case you haven't heard it lately. YOU ROCK! What...no tonka bean (inside joke)? I just planted some lemon thyme after smelling it at the nursery for the first time. I can imagine that strawberry compote smelling so lovely. I only know you through blogs but already you are dear to my heart, I am glad that M has a friend like you and that you are enjoying eachother. Helen, if you call it the 'ultimate' I know I have to try it. We have to wait until June for our berries, though. Thanks for the Mother's Day wishes! It still takes a moment to realize, Hey, that's me! YOU REALLY DO ROCK - because somehow you just say it right. Have a glorious weekend. That last photo grabs my heart and tummy!! I grew lemon thyme last year in my herb garden. I love it with summer squash. A recipe from Giada. Its very tasty. I just planted lavendar in the bac of our house. I was washing dishes and got this lovely whiff of them. I was so glad I planted them. Always a pleasure to find out what new things you are up to. 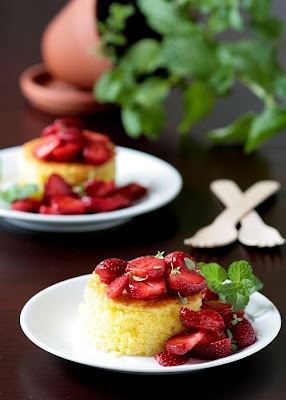 This is a beautiful recipe and I'm so glad you and M were able to go strawberry picking. I wish I could have joined you :) I have been looking for a good lemon pound cake recipe, and I will have to try this as my old standby has tanked on me twice at elevation. This one sounds much better anyway! I know what you mean about smelling fresh strawberries - it's heady and wonderful and transports you to places we only dream of most of the year! You're such a sweetheart, Helen. Ooooh, the lemon thyme in my garden is ready for harvest, and these strawberries look wonderful. Off to the market to get some berries now! Elliot the fish? That is a cute and weird name for a fish! :D I will not ask how a blowtorch got involved in gardening, lol. You're such a great friend to M; I'm sure all the activity capped off with this lovely cake just made her day (year?). Yum, yum YUM! What a wonderful combination! Strawberries are just starting to get reasonable at the stores around here, so I am saving this recipe. Great job! Like you I have been growing herbs for a while. I have Rosemary, Thyme, Lavender & Mint. The recipe sounds yummy, and those ab exercises seem like a good thing to fit into my busy schedule!! I'm putting up my SHF post later today. That looks like summer. I've got some lemon thyme in my herb planter nd love it. I've only ever added it so savoury dishes before, gotta try it your way! Lovely cake and strawberries. Amazing work lady! This looks so beautiful and delish,I love the lemon thyme. Great idea on freezing the pound cake. I made it once and kept eating it because I didn't want to waste the delicious thing, even when I wasn't hungry. No I can just eat half and save the rest for later! A delicious spring dessert. And btw Helen, I had to laugh, since like you, I do NOT have a green thumnb, as opposed to my brother who literally could be a gardener and landscaper. Funny! More and more people are enjoying herbs with sweet flavours and that's great. Why restrict these fragrances to just main courses? I just got into fruit and herb pairings last summer - SO good! What a beautiful cake, I bet it's just delicious. I know I can always trust your recipes! Thanks for a great lemon pound cake recipe...I can't wait to try! Lovely photos again as usual! mmm strawberries and thyme.... sounds incredible! Hey, Really, Iam very Impressed by your Work, Most for the Food, your Photos. They are so Creative and they show people what you want. Iam a Kid, iam 14 years old, and im very in love with your page. I hope you made a really Delicious Shortcake Strawberry Pie. i Love them. Well, also, can i take the Doughnut Picture? I saw it and i want it. Thansk for your sweet Replie. H i r a m u.
I would love to make that pound cake, but I am in Australia and not sure what you mean by sticks of butter - how many grams of butter are in a stick? and your cake looks so inviting. aBSOLUTELY gorgeous presentation. Gr8 photographs. Beautiful. What with these and a thyme anglaise I had recently, I'm certainly inspired to start using thyme in different ways. Lovely cakes, and look how ripe those strawberries are, oh if only it were the real season here! Kate: you can find on Google a lot of sites with conversions and equivalents but I just added to the recipe the equivalent for butter and a link to an ingredient converter. Hope it helps. Beautiful! I can't think of a better way to celebrate a day than picking luscious strawberries and making this gorgeous dessert and sharing it with a friend. lemon pound cake and strawberries sound amazing together, i want to go picking right now. That sounds perfectly refreshing helen. 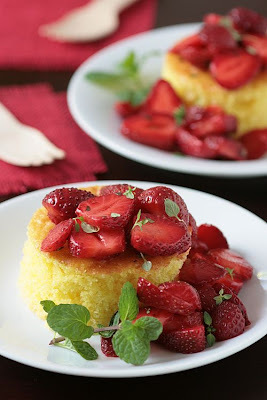 I love anything with lemon thyme and a light cake like this with the berries... yum! This is what I need after my super fatty food camping trip! And oh yes, maybe some Pilates lessons??? I can't wait for the strawberry season to start in earnest here. Going to PYO farms is one of my favourite activities (maybe its eating half the fruit while I fill my basket!). 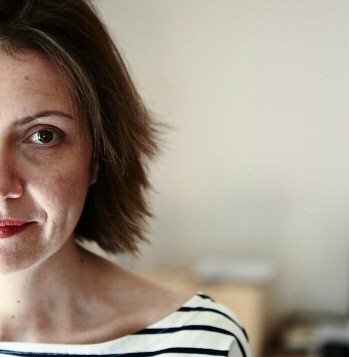 Very best wishes to your friend M. Maybe if all of us bloggers around the world focus hard enough some good will come. Oh I am so impressed, pilates and baking all in the same day. Then strawberry picking! I have slept in which is not like me and missed the last 3 markets. This sounds like a lovely dessert and the pictures are gorgeous. Just filled my pots with soil in preparation for my herbs. Inspiring. happy mother's day to you too. i do well with herbs too, they're not as fussy as flower plants. strawberries are abundant now that i see lots of posts with them, as usual yours is lovely. Haven't had any luck yet in finding lemon-thyme here, I'm never in luck when I visit the herb&spices stall at the market. Funny how mother's day is different in each country - my mum will have to wait until August 15. Lemon Thyme is one of my favorite herbs, it's beautiful and delicious! That dessert sounds wonderful, those strawberries look so luscious. Thank you Tartelette - I know what I'll be doing with my weekend! I made the cake today to round off a lovely Sunday lunch - any my family loved it!